Nate Butler sings ‘The Walk’ on The Voice Season 10 Blind Auditions on Monday, March 7, 2016. “I am confused because I thought there’s more than one person up there,” said Christina Aguilera. “You know that there’s a soulful aspect to your voice. It’s a wonderful thing to know as 19 year old,” said Pharrell Williams. “You in your brightest spots were phenomenal. You have a great falsetto but the trasition was a little strange,” said Adam Levine. “Listening to you was so much fun. I hit my button because of your chest voice. Your falsetto, didn’t nailed them but it’s still good,” said Blake Shelton. 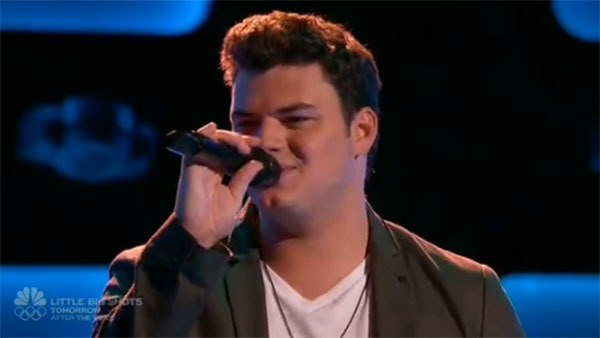 Nate Butler picked Team Adam.Watch his performance on the video below.